Need assistance filing your 2018 taxes? Cameron School of Business students are certified by the IRS to assist you with your filing needs. More information is available in the CSB Announcement circulated earlier this month. Times available on Wednesdays and Saturdays in February, March and April at two separate locations: 803-B S. College Rd and 813 Nixon Street. Don't forget to bring your photo ID, 2018 tax documents and 2017 tax returns (if available). The grant cycle has opend for the next round of internal funding opportunities from the Offices of ETEAL, CSURF, Community Engagement and the Arts. You can access the opportunities via the InfoReady Faculty & Staff Marketplace. 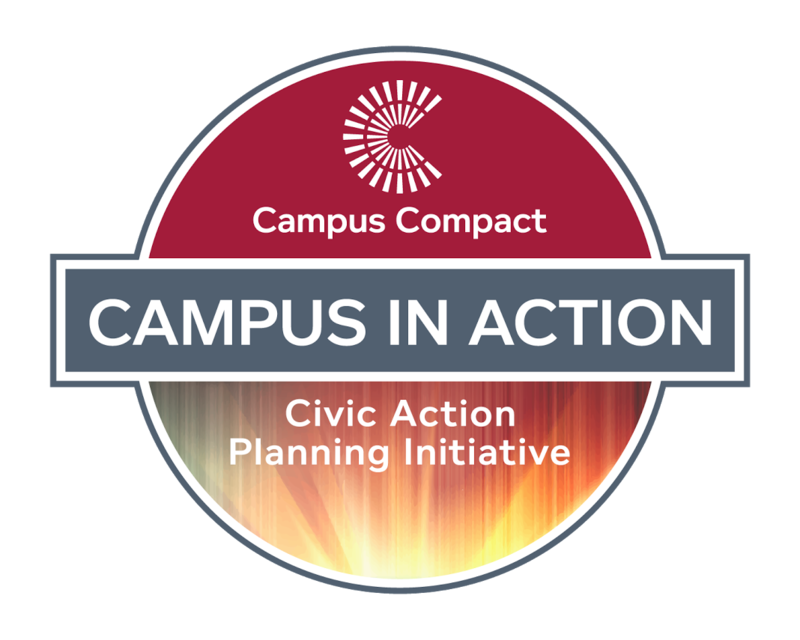 The Office of Applied Learning and the Office of Community Engagement are also partnering to provide proposal workshops to help you learn more about these opportunities and prepare your application. Join us in person or via Zoom on Tuesday, February 5th, 2:00pm-3:00pm in EB 266, or watch the video recording of the presentation segment of the workshop later on! With the outpouring of support in our community that was impacted by Hurricane Florence, "Thank you" is just the tip of the iceberg. "Hurricane Heros" shines a spotlight the work that countless Seahawks are providing to the greater Cape Fear region. 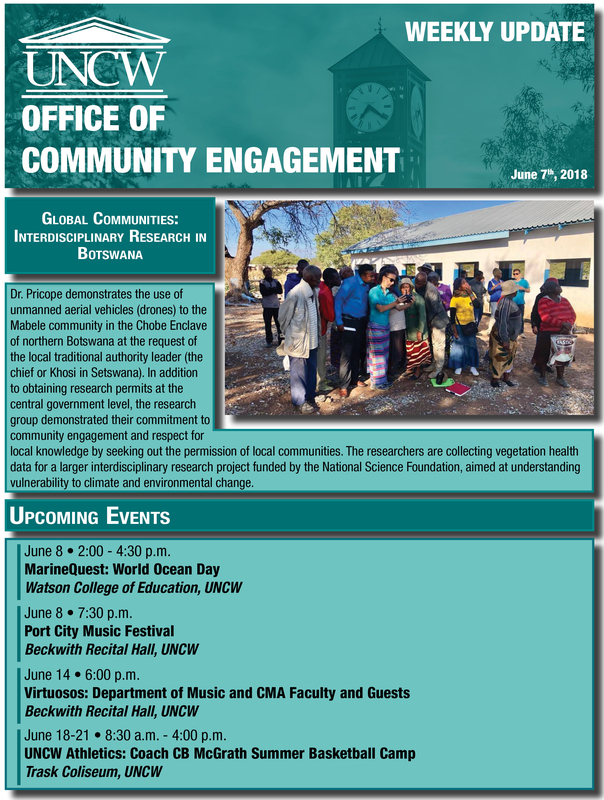 Showcased below is work UNCW faculty, staff and students are conducting in the local Hispanic communities. UNCW’s Office of Community Engagement posts weekly updates each Thursday with information about UNCW faculty, staff, and student work in collaboration with community partners, as well as a listing of upcoming public events (some of which require registration). These updates are posted here and on our Facebook page and sent out to our email list. To submit stories or events for a future Weekly Update, or to be added to our email list, please contact communityengagement@uncw.edu. 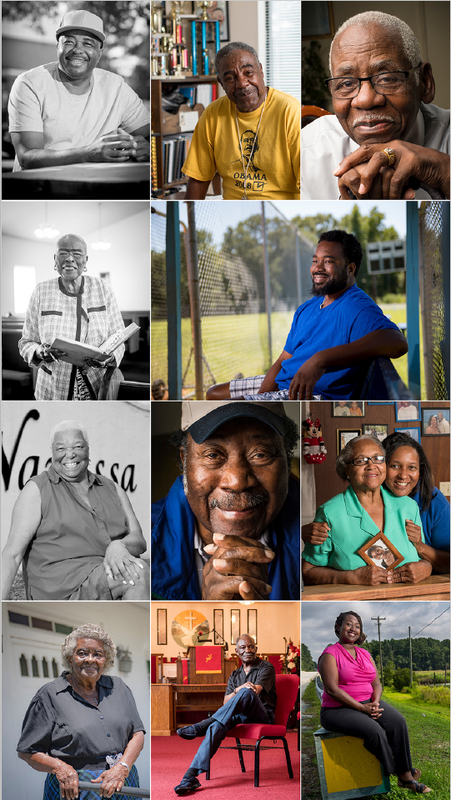 Members of the town of Navassa who contributed to "Facing Community Change" were featured in the latest edition of the UNCW magazine. Community members participated in a study about the Gullah Community in our neighboring town, which resulted in the compilation of a book, "Facing Community Change". The book was written in collaboration with members of the UNCW English Department, Colleen Reilly and Kimi Faxon Hemmingway, and published by the Publishing Labratory at UNCW.